Some people like to collect horses quotes. But not all are easy to understand. A few common horse quotations are self-evident. "You can lead a horse to water, but you can't make it drink" of course means, you can't make anyone do something they really don't want to do. Some horse quotations are not so easy to decipher. Here are ten common horse quotations and what they may mean. 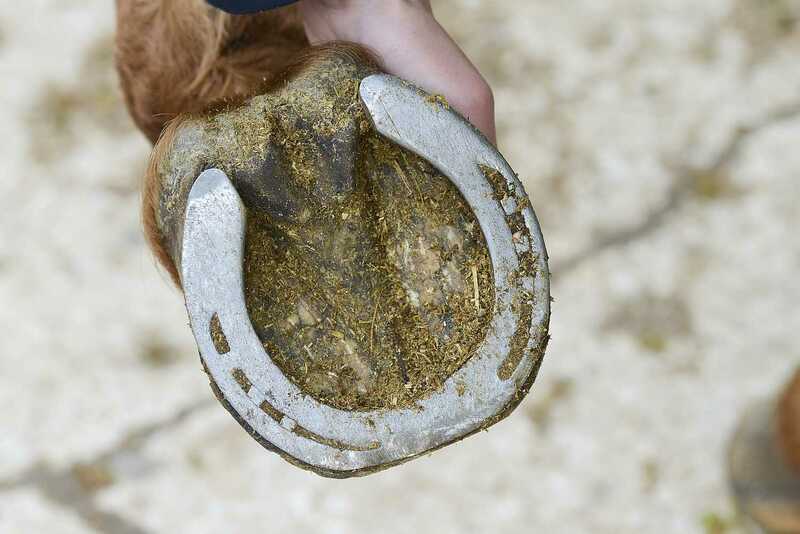 Damaged, weak or overgrown hooves can mean your horse will probably go lame, and you’ll have no horse to ride or drive. This is as true now as it ever was, and why good hoof care is essential. Without healthy hooves, your horse won't be very useful or happy. Horse Quotation: A golden bit does not make the horse any better. Even in ancient times, good horsemen realized that what makes a good horse is not the cost of the equipment, but understood that the key to success was patient training and consistent handling. We’ve all seen ‘golden bits’ advertised; the ones that promise to make your horse perfect because they do this or that wonderful thing. And many of us have seen riders that jump from one bit to another in hopes that it will solve some problem. Chances are a bit, or any other piece of equipment is not going to solve a problem. When problems occur, the first question of the many we should ask is why? There are similar quotes like, “You can not judge of the horse by the harness,” nor the rider by his clothes. Good horses and horsemanship have little to do with the trappings. While we value horses now as companions, they were once valued as modes of transport. You probably wouldn't give away a young horse that was still useful. When a horse got old, it would no longer be able to pull or carry loads, and therefore, had little value. One way to tell if a horse was old was to open its mouth and look at its teeth, which would reveal its age. So, don't look in a 'gift horse's' mouth, because you'll probably find out it's old, and you'd realize you had gotten something of little value (and not appreciate the thought behind the gift - if indeed it was well intentioned.) Pity the poor horse whose new owner followed this axiom. ... three white feet, look well about him; four white feet, go without him. This saying has variations such as ‘four white feet and white on his nose, take off his hide and feed him to the crows.’ That’s pretty harsh! Or, one, buy me, Two, try me, Three, shy me, Four, fly me. This old saying is probably based on the belief that white hooves are weaker than dark and your white-footed horse is prone to unsoundness due to wear and cracks. The saying is reversed in one version. One white foot, keep him not a day, Two white feet, send him far away, Three white feet, sell him to a friend, Four white feet, keep him to the end. Whatever the intent behind the rhyme, we’ve learned that hoof color is not as important as we once thought it was. This saying by Jean Baptiste Racine ​is like the story of the tortoise and the hare and the saying, ‘slow and steady wins the race’. Certainly, this saying isn’t about a race, but sparing energy so that both horse and rider have the physical resources to maintain a slow, but steady pace over the long haul. If you start out on a very long ride at a mad gallop, you might find you’ve used up your horse before you’ve reached your destination. Many horse dealers are honest folks who rely on word-of-mouth advertising to stay in business. They often take a lot of time to match up riders with the perfect horse. But in bygone days, horse traders had a reputation for sharp dealing and unscrupulous methods. Unfortunately, there are still dishonest sellers around, but they are in the minority and word travels fast, especially on the internet. It is always up to the buyer to make the final decision, and that is why the ‘buyer needs a hundred eyes’ to see all the possible faults and problems that a horse may have. An unscrupulous seller, however, need not see anything, and certainly wouldn't point out problems, even if they did exist. You’re not a rider unless you’ve fallen off seven times. This is similar to another saying, ‘fall seven times, get up eight’, which is to say, learn from experience and get back on the horse. Often you're told to get right back on the horse after you fall, which is a good idea (after you've checked yourself over for damage), so you don't have time to think about the fall. Seven is probably significant because seven is regarded in many cultures as a lucky number. You’ll probably want to avoid falling off and shouldn’t make seven a goal. But it’s wise to be prepared, so here’s how you may minimize the impact of your fall with an emergency dismount. As a beginner, you want to find the perfect horse. But as you advance in your riding ability, the not-so-perfect horse can teach you a lot. The key to choosing a horse once you are past the beginner stage and wish to advance your skills is to pick one that will challenge you, without over-facing or be intimidating. After you’ve outgrown your first horse, you might want to choose one that is of very calm temperament so that you can learn the process of training. Or, you might choose a horse with a specific problem that you can safely work through. Beginners have a lot to learn from those perfect first horses, but later on, ‘imperfect’ horses have a lot to teach us too. It's probably best to learn to sail on calm waters too. Some people like dark colored horses and love bays the best. Some don't like grays, simply because they are too hard to keep clean. And certain colors of horses have a reputation for having certain types of temperaments. Chestnut mares are often thought to be moody and temperamental. But you should would never choose a horse based on color, because for every moody chestnut mare, there’s probably another who is calm and steady. A lot of people get hung up about color. But choosing a horse that is unsuitable simply because you love its color, over a suitable one that’s the ‘wrong’ color isn't a smart choice. Choose the horse you can get on and enjoy right now, and you’ll find yourself loving the whole horse, not just the hair coat. This superstition is probably an amalgam of beliefs because horseshoes have seven holes and seven is regarded as a lucky number. They are made of iron, which has the quality of strength, and they are associated with horses and donkeys both of whom have been revered through the ages. So horseshoes have come to mean good luck. There is also a legend from the middle ages about a blacksmith named Dunstan. Dunstan was visited by the devil in his blacksmith shop. The devil wanted Dunstan to make him shoes, but Dunstan refused and beat the devil, making him promise never to enter a place where a horseshoe hung over the door. To prevent luck from running out, the horseshoe must hang toe down. In some cultures, however, it's believed the toe should be hung toe-up.